Marcella Moran MA, LMHC (Licensed Mental Health Counselor) is an educational consultant and licensed psychotherapist who specializes in ADHD. She works with her clients to develop personalized organizational systems that are based on her ability to assess a personal learning style. Moran's clients have ranged in age from six years old to 60 years old, all working to reach their true organizing potential at school, work, and home. She is the co-author, with Martin Kutscher, M.D., of Organizing the Disorganized Child: Simple Strategies to Succeed in School (HarperStudio), the essential guide for parents and educators to help children get organized. She has given numerous workshops, seminars, and has been a keynote speaker on a range of topics from preparing students for the college admissions process to organizing disorganized children at schools, universities, and parenting organizations. Moran, a member of Children and Adults with Attention Deficit/Hyperactivity Disorder (CHADD), the American Counseling Association (ACA), the Attention Deficit Disorder Association (ADDA), and NYMCA, advises parents on how to help their disorganized child at home and how to keep sane through the process. She educates parents on how to interact with the school, supervise their children without being intrusive, and how to speak to their children and get a response back other than, "Okay Mom." She emphasizes that if parents "listen" to their children, they will learn what has and has not worked for their child in helping them become organized. 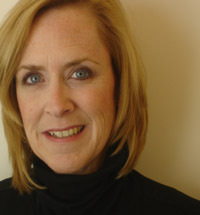 Moran has spent the past 18 years working with parents and children in the educational field. Before starting her consulting business, she worked as a New York State licensed middle school and high school guidance counselor, a college advisor, and Coordinator of Disability Services at the Counseling Center at Fordham University's Tarrytown campus. Currently Moran has a successful private psychotherapy practice in Westchester, NY. Her approach to therapy is cognitive-behavioral based, with strategies built in to improve self esteem and confidence. She also is an adjunct Professor at Mercy College in the Mental Health graduate program. "A superb book! Blessedly brief, pointedly practical, and clear as glass, this book will help any child, parent, or teacher who reads it. Step by step, the authors, who truly know their subject, lead the reader through a method that can't help but succeed. This book meets an urgent need. I will be referring my patients to it." "Organizing the Disorganized Child is a long overdue manual that strives to make life easier on families with children with ADHD. Unlike other books that offer a menu of one-size-fits-all strategies, this book digs deeper and helps parents to understand the root causes of their particular child's disorganization...This book is a MUST HAVE for all parents of children with or without ADHD!" "Organizing the Disorganized Child is a breath of fresh air. Straightforward, practical, and most important, providing strategies and ideas that any parent - even the disorganized - can easily implement. 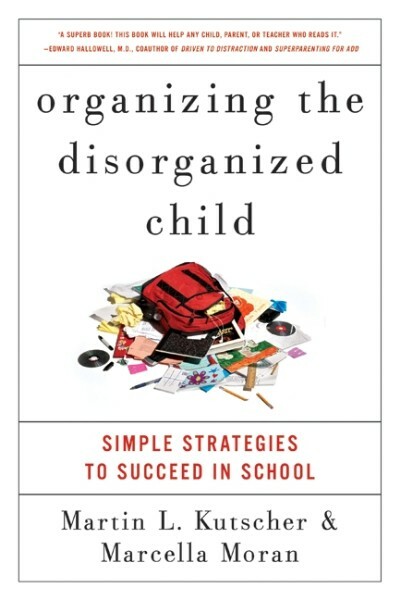 Rather than wait till some children struggle I suggest that Organizing the Disorganized Child be essential reading for parents of all entering first graders." "You will wear out your highlighter! Not only is this book full of easy to understand detailed directions to help you organize your child while in school, if you use the suggested strategies you will be teaching them lifelong invaluable skills. I will be recommending this book to all parents of kids with ADHD." "Get out your yellow highlighter! Organizing the Disorganized Child delivers on its promise to teach a child or student better organization and study skills. In addition to describing the "why" behind behaviors of so many kids with weak planning and execution skills - you know, the ones so quickly labeled as "lazy" or "disinterested" - authors Kutscher and Moran present page after page of creative, common sense ideas that work!"